Savor the history as you come up Meetinghouse Hill. Climb the hefty sandstone step and walk through the narthex to the sunlit sanctuary; you are treading on the same oak floorboards that bore the feet of parishioners over 200 years ago. Gaze up to see the quietly elegant relief design in the tin ceiling-the same sight greeted folks during the Civil War, World Wars, and Korean War. Touch the hemp bell rope hanging in the choir loft, whose sturdy tug has rung in countless worship services, weddings, baptisms and funerals. Peer through paned windows at the cemetery outside, whose gravestones date back to the 1700's. If you are feeling adventuresome, climb the narrow steps leading from the balcony up to the steeple to see the stately 1864 bell and enjoy the magnificent view from the top. These historic landmarks are not dusty museum pieces-they are chronicles of years and years of devoted service to Christ. In 1705 a group of Guilford farmers began clearing land in the northern part of town. To avoid the 10 mile trek back to town each day, the men built a log cabin for sleeping accommodations during the week, coming home to their families on weekends. In 1719 Guilford allowed the "Cohabit" farmers to establish a separate religious society and church on Meetinghouse Hill called the Ledge in the Highway. The first church building was completed in 1723 and stood on an open plot in front of the present parsonage within the area which is now the cemetery. The present building was built between 1812 and 1814 atop the ledge. Its sandstone step originated in a quarry on Long Hill Road. This is the oldest church building in town in continual use by its congregation. 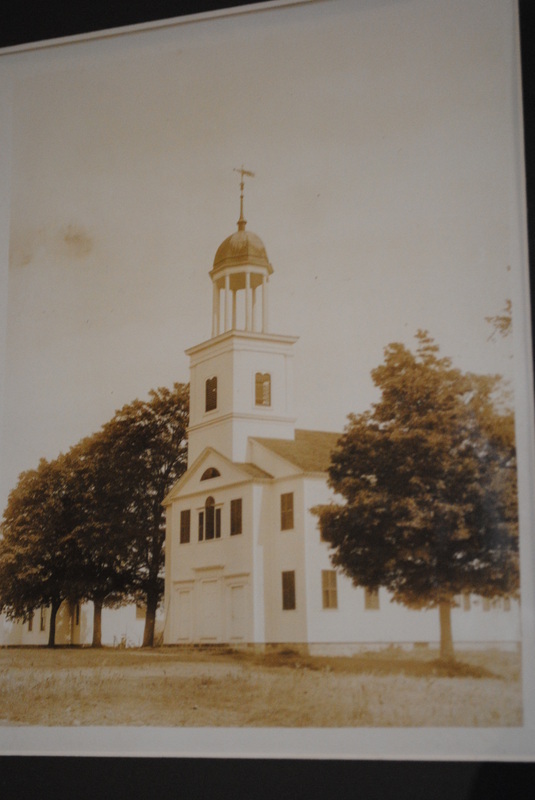 Workmen erecting the steeple during the War of 1812 reported seeing British "Man-O-War" ships on Long Island Sound during the Battle of Stonington. When the Parish Hall was built in 1888, one of its uses was as a school before children were transported downtown. The Parish Hall through the years has been used for Sunday School, plays, church suppers and other meetings; today it houses the North Guilford Nursery School. Growth necessitated an addition to the church in 1957; it was constructed entirely by church members who came up the hill after work to build it. It contains five classrooms, library, office, fellowship hall and kitchen. 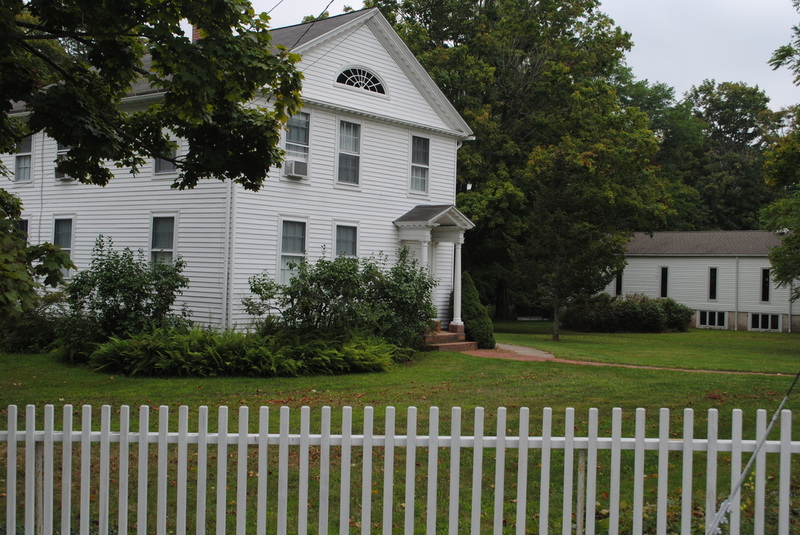 The parsonage, located next to the church, is a nine-room dwelling of federal style erected in 1823. It underwent major renovation in 2011-2012. At the rear of the property is the barn from which the annual church fair auction is conducted. In 2011, the "Let it Shine" campaign was initiated to finance major structural repairs to the venerable church steeple, including replacement of two of the massive wood columns that uphold the cupola. Fundraising is still underway. In this and other ways, the church is working to preserve its past while restructuring for the future.